Most organizations with outside reps struggle with providing access to the type of in-depth reporting which can help reps sell more effectively. Often this data is locked away in QuickBooks, Navision or Sage or other software designed for the back office. Orderoso syncs with those solutions and transforms that data to live, web enabled reporting scoped to the user’s role in our system. In this way, we’re able to provide sales reps with easy access to only their sales history while allowing managers to review their entire organization’s results. This level of access provides sales reps with the ability to find underperforming accounts, identify accounts likely to reorder and increase their overall awareness of their customers, products and sales. 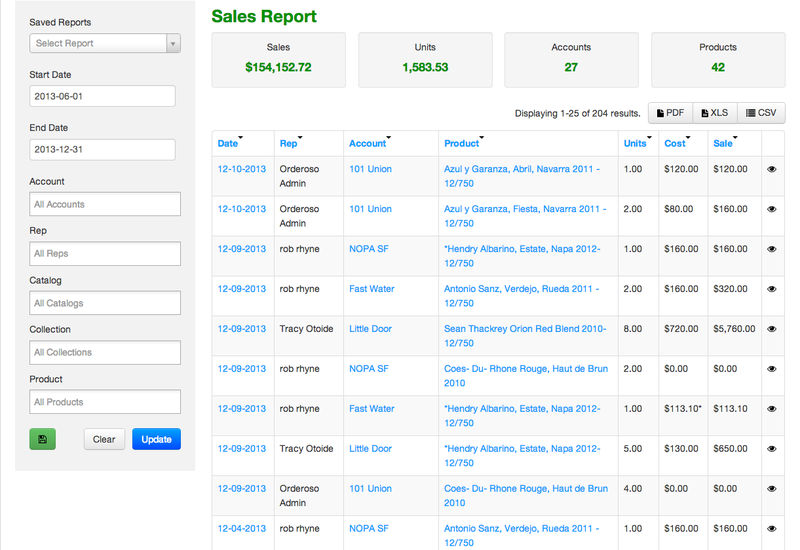 In addition, managers can quickly produce reports from all sales data without waiting for accounting to run reports. Reports can be shared via PDF, excel or csv and saved, providing quick access to commonly referenced metrics. Provides real time data on sales by account. 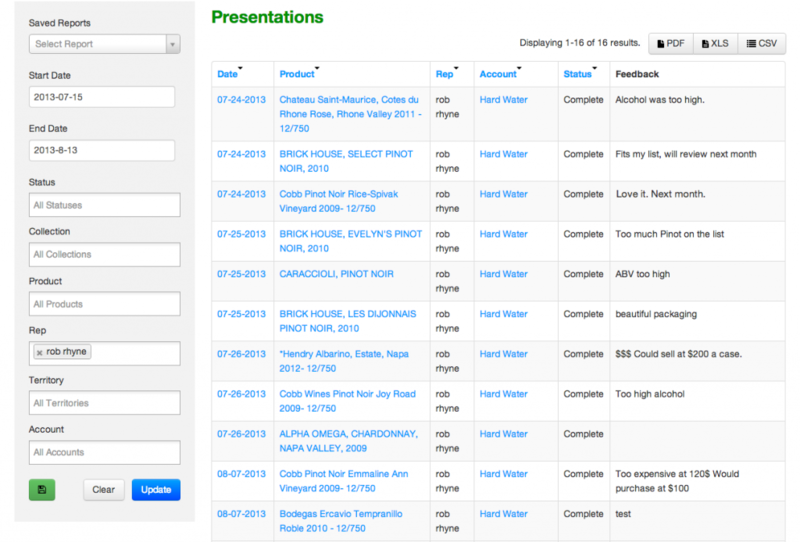 Tracks rep’s presentations made for each account with important client feedback. Provides granular, sale by sale data. 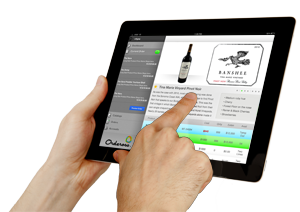 Orderoso provides 18 additional report types including samples, samples by rep, allocations, product performance, daily sales and more. This entry was posted in Uncategorized on December 13, 2013 by osoblog. We’ve achieved an estimated 10x speed improvement on order, account and report pages. You’ll find that loading, searching and sorting operations are all much faster. We’ve added the ability to select what information you include in your sell sheet sheets, including hero image, descriptions, pricing, interests and interest pricing. When you are done editing, email the sell sheet to your customer. The customer will receive a link where they can view the sheet and download a PDF and you’ll be able to track when they view it. When creating an order, the add products screen is now a dedicated page. Additionally, you can now add multiple line items of the same type. TIP: To change a quantity on the add products page, delete the product and add it again with the proper quantity. You can now export the line sheet with pricing and availability to a PDF. Simply click “Export PDF” from the line sheet editor to instantly generate a PDF from all products in your current search. TIP: Adding ” > 1 ” to the Avail field returns only products with availability greater than 1 (or whatever number you’d like). When you export that search, only those products will appear in the PDF. This works with the price field as well. We’ve completely rewritten the media manager in this release. We now automatically generate PDF preview images and have greatly simplified uploading! Simply drag and drop PDFs, images and videos into the upload form and watch them upload. We hope you enjoy these improvements and as always, we look forward to your feedback on how to make them better! This entry was posted in Uncategorized on November 25, 2013 by osoblog. This entry was posted in Uncategorized on November 1, 2013 by osoblog. 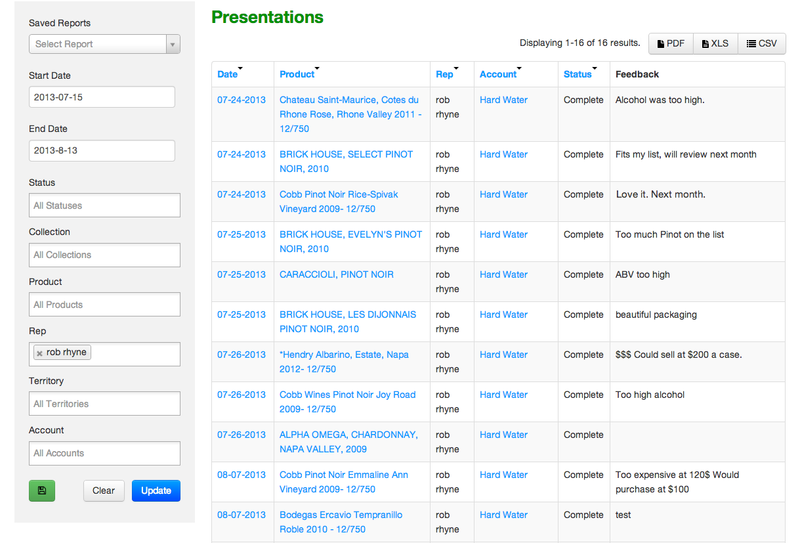 One of our latest updates is the ability to track your Rep’s sample orders and their samples-to-sales percentage. Like most things in Orderoso, it’s really simple. Simply add an account for each rep clearly labeled as their sample account. Something like “Jon Smith Samples” would do. 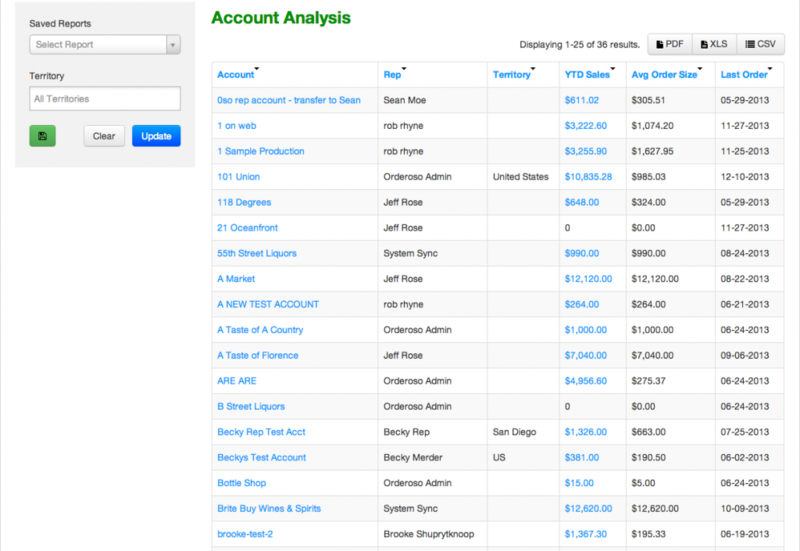 Then set the Sales Type value to ‘Samples’ and have your reps start placing their sample orders against this account. If you have the option set to allow reps to discount products, then have them discount each by 100%. If not, have your order desk do so after the order has been submitted. Once you have some sample orders entered, the sample report page will display your rep’s sample orders and sample to sales percentage which allows you to easily monitor who’s over the industry 2% average. You can also enter the dates you’d like to review data for to filter the report. Hopefully your volume is a little higher than my test data! Like all our reports, this sample data report is exportable as an Excel document, and a plaintext csv file. We’re launching PDF exports in the next week or two. This entry was posted in Uncategorized on August 10, 2013 by osoblog. Orderoso is for reps who need better tools for product sales, for order desks who are constantly entering orders and answering calls and for managers who would like to streamline the works. We’ll be posting here about how we are improving those processes, marketing advice for small businesses with reps in the field, cool info-graphics and some interesting setups we’ve learned from the amazing businesses we work with. Be sure to sign up to receive notifications of posts by email. We promise at least 90% of those emails will be of value to your business. 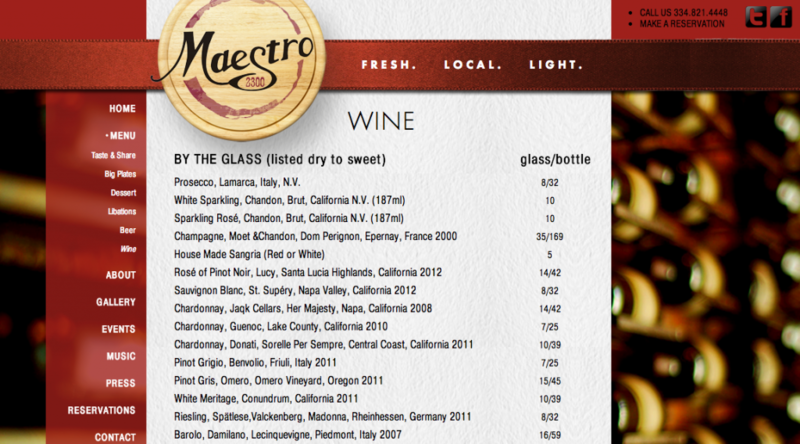 Fair warning, the remaining 10% might contain photos of wine we are drinking and product launches. This entry was posted in Uncategorized on June 7, 2013 by osoblog.